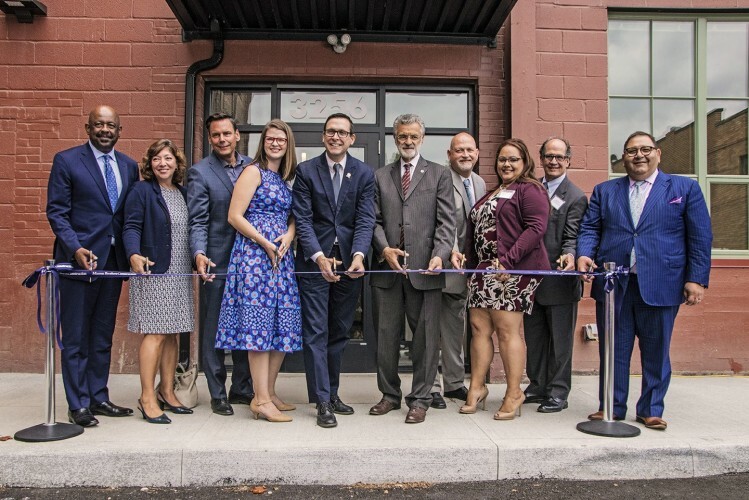 Earlier this month, local leaders, including Cleveland Mayor Frank Jackson and MetroHealth CEO Dr. Akram Boutros, cut the ceremonial ribbon to open the Lofts at Lion Mills. It capped a $10.2 million renovation of the historic Lion Knitting Mills building, located just two blocks north of our main campus on West 25th Street. The restored gem of a building offers 36 new and affordably priced one- and two-bedroom apartments. Units feature new appliances, on-site laundry, high ceilings, scenic views and a great location. Rents start at only $260 a month (residents must meet low-income requirements and other criteria to lease one of the apartments).